Gucci Bamboo, a new fragrance for today's multi-faceted woman, is soft and intense all at once. 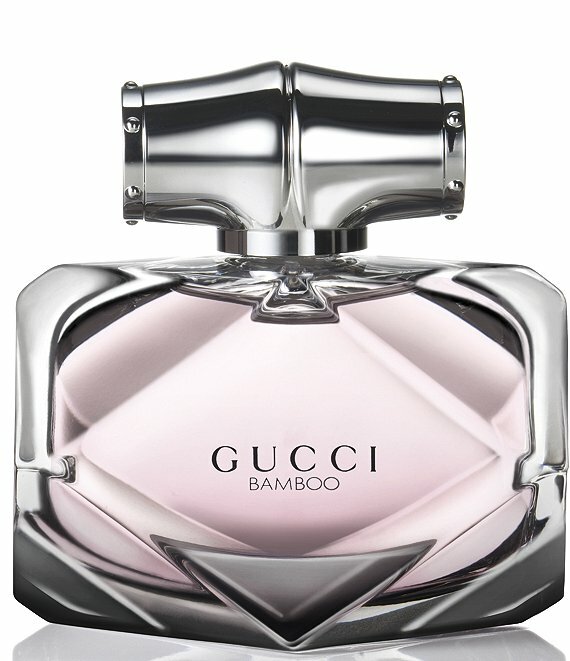 The modern Gucci woman shares bamboo's characteristics of strength and confidence with her innate femininity and poise. She is feminine and sensual, yet strong and commanding. The duality is expressed with strong notes that resonate through the heart and base. Deep Sandalwood, heady Tahitian Vanilla and unique grey Amber accords strike a complementary contrast with the inherent femininity found in exotic floral notes of sensual Casablanca Lily, feminine Orange Blossom and delicate Ylang Ylang.